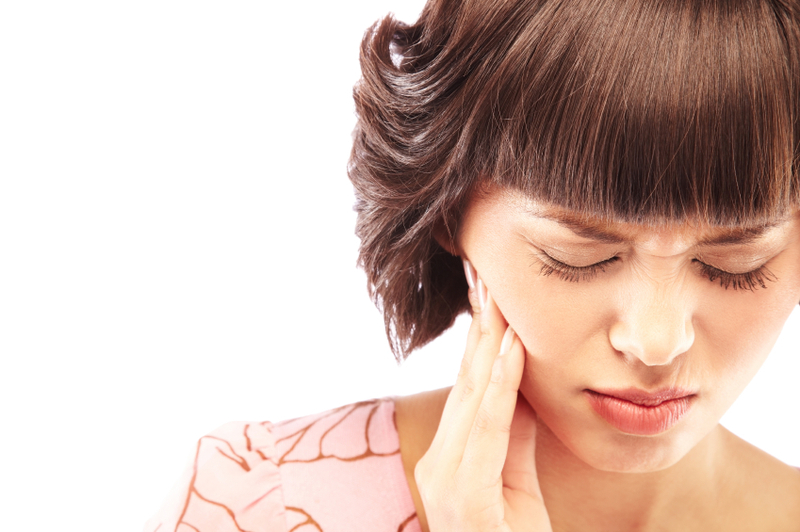 Bleeding may occur for several hours after tooth extraction. To control it, position a piece of clean moist gauze over the empty tooth socket and bite down firmly. Apply constant pressure for about 45 minutes. A moistened tea bag is an effective alternative. The tannic acid in tea helps healing blood clots to form (blood clots function similarly to scab over an open wound). Repeat this process if a small degree of bleeding continues; if heavy bleeding continues to occur, contact your dentist or oral surgeon. Avoid rinsing or spitting for 24 hours after tooth extraction, avoid “sucking” actions (for example, don’t drink beverages through straws or smoke) and avoid hot liquids (such as coffee or soup). These activities can dislodge the clot, causing a dry socket to develop. Watch for signs of dry socket. Dry socket is a common complication that occurs when either a blood clot has failed to form in the extracted tooth socket or else the blood clot that did form has been dislodged. Without clot formation, healing will be delayed. When it happens, dry socket typically occurs 3 or 4 days following the extraction and is accompanied by pain (ranging from “dull” to moderate to severe) and a foul mouth odor. Your dentist or oral surgeon will treat the dry socket by placing medication in the socket.